Which really stinks for awesome couples that just want to have a good time (as they should) on their wedding day! Outside sound can only be ambient sound not exceeding 60 decibels and must be turned off by 9:30PM. 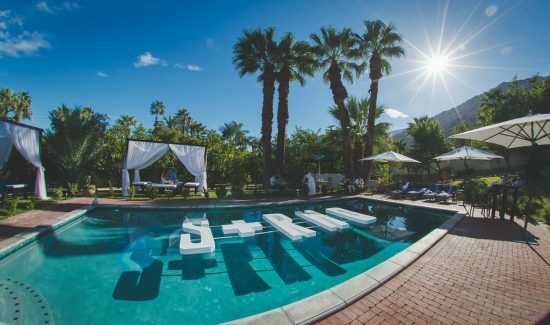 Just because there is an early sound ordinance, doesn’t mean you shouldn’t have a Palm Springs estate wedding. Just let go of the “traditional” feel of what happens at hotels, and enjoy a more relaxed vibe at an estate.